Psy-Group, the company headed by the Israeli media specialist Joel Zamel, who is reportedly being investigated in connection with the alleged illegal intervention in Donald Trump’s 2016 presidential campaign, has shut down, according to a person familiar with the matter who spoke to Calcalist on condition of anonymity. That person also said Psy-Group is known by other names, including Invop. A company by the name of Invop Ltd. is listed on the Israeli state registrar’s database. On Saturday, the New York Times reported that an Israeli company is being investigated by former FBI director Robert Mueller for allegedly aiding Donald Trump to win the 2016 presidential elections by launching an online manipulation campaign. 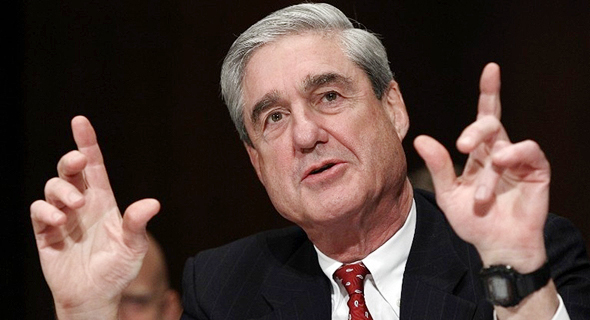 Mr. Mueller has been appointed to investigate Russian interference in the presidential elections. According to the New York Times report, Mr. Trump’s son, Donald Trump Jr., met with Mr. Zamel months before the elections. At the time, Psy-Group was developing a proposal for a "covert multimillion-dollar online manipulation campaign” to aid Mr. Trump to win the elections, the New York Times reported, citing four people familiar with the matter. The campaign had been reportedly canceled after Psy-Group learned its involvement in the elections would be illegal. The New York Times reported Mr. Zamel still received a payment estimated at around $2 million from a Trump associate. According to the Saturday report, Mr. Zamel had been questioned by Mr. Mueller's investigators, with FBI agents talking to Psy-Group employees in Israel. The New York Times cited one person as saying the FBI collaborated with local law enforcement to seize computers from a company owned by Mr. Zamel. Last week, Cambridge Analytica, the consultancy company hired to aid in Mr. Trump’s presidential campaign, filed for bankruptcy. Cambridge Analytica has been forced to shut down its operations after Christopher Wylie, a whistle-blower who worked for the company, revealed in March that the company used information extracted from Facebook to influence voters, saying that the company played a role in Mr. Trump’s victory. Also in March, the Cambridge Analytica whistleblower, testifying in front of a U.K. parliamentary committee, said that Israeli private intelligence firm Black Cube had been involved in hacking a Nigerian presidential candidate. Both Black Cube and Cambridge Analytica denied the allegation. In a testimony before the U.S. Senate earlier this month, Mr. Wylie retracted his earlier statements regarding Black Cube. Earlier this month, New Yorker Magazine reported that Black Cube spied on Obama administration staffers who were involved in promoting the 2015 Iran nuclear deal, seeking information that could discredit them. The news came a day after British newspaper the Observer reported that aides to President Trump hired an unnamed Israeli spy firm last year to “get dirt” on Ben Rhodes and Colin Kahl, both former foreign-policy advisers to President Barack Obama. In a statement to Calcalist in early May, Black Cube denied having a connection to the Trump administration, its representatives, affiliated business executives, and the Iran nuclear deal. Calcalist’s reporting on the firm has revealed details on Black Cube’s secret recording of a former Canadian judge as well as a separate incident in which the firm recorded a business executive while he was out riding a bicycle.